Just as you wouldn’t want a mechanic to install a new engine in your car without looking at what’s wrong with it first, or a surgeon performing an open heart surgery on you without checking whether you suffer from a heart condition or heartburn, you wouldn’t want a sorcerer doing work on your behalf before conducting an appropriate investigation. I require all potential clients, who seek hiring my rootwork and hoodoo services, to book a Spiritual Condition Assessment first. This reading is mandatory. To schedule a reading you must pre-pay for it via PayPal, by picking an appropriate consultation type from a pull-down menu. 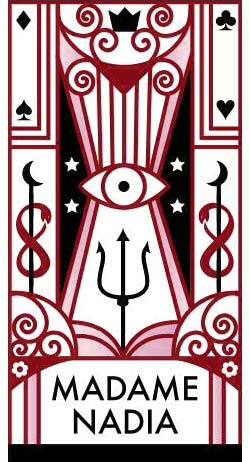 Payment for a reading must be made 24 hours prior to the scheduled appointment, unless otherwise agreed upon. If you wish to cancel or reschedule a pre-paid reading, 24-hour notice is required by email. I permit only ONE rescheduling. If you do not contact me at the scheduled and appointed time, I will contact you to reschedule. If you miss your rescheduled time the appointment will be cancelled without refund. I always tell my clients, if you meet a mage or rootworker who guarantees 100% success, run the other way! As your devoted sorceress and ritualist I will, in good faith, commit to doing everything in my power and knowledge to manifest your wishes and achieve the desired results, following wholeheartedly the code of ethics established by the Association of Independent Readers and Rootworkers. Even though it is very uncommon, I must state that I reserve the right to refuse services to any client, and at any time.